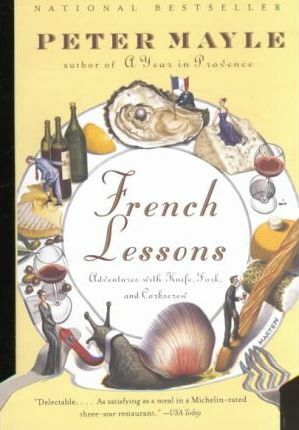 A delightful, delicious, and best-selling account of the gustatory pleasures to be found throughout France, from the beloved author of A Year in Provence. The French celebrate food and drink more than any other people, and Peter Mayle shows us just how contagious their enthusiasm can be. We visit the Foire aux Escargots. We attend a truly French marathon, where the beverage of choice is Château Lafite-Rothschild rather than Gatorade. We search out the most pungent cheese in France, and eavesdrop on a heated debate on the perfect way to prepare an omelet. We even attend a Catholic mass in the village of Richerenches, a sacred event at which thanks are given for the aromatic, mysterious, and breathtakingly expensive black truffle. With Mayle as our charming guide, we come away satisfied (if a little hungry), and with a sudden desire to book a flight to France at once. Peter Mayle, francophile phenomenon and author of "A Year in Provence, brings another delightful (and delicious) account of the good life, this time exploring the gustatory pleasures to be found throughout France. The French celebrate food and drink more than any other people, and Mayle shows us just how contagious their enthusiasm can be. We visit the Foire aux Escargots. We attend a truly French marathon, where the beverage of choice is Chteau Lafite-Rothschild rather than Gatorade. We search out the most pungent cheese in France, and eavesdrop on a heated debate on the perfect way to prepare an omelet. We even attend a Catholic mass in the village of Richerenches, a sacred event at which thanks are given for the aromatic, mysterious, and breathtakingly expensive black truffle. With Mayle as our inimitably charming guide, we come away with a satisfied smile (if a little hungry) and the compelling desire to book a flight to France at once.